I think it’s only a good thing to keep the Record Shop alive and kicking in the sea of online and downloads. I always get great service and tips from the local Jamarico Record shop and RecRec here in my adopted hometown; Zurich. So I’m pleased have come across the ever nearing Record Store Day site. Check out the nearest store to you on: http://www.recordstoreday.com/Venues? “I buy CDs all the time. I’ll go into a record store and just buy $500 worth of CDs. I will! I am singlehandedly supporting what’s left of the record business. Brian Eno and Grizzly Bear will release a limited edition 12” for Record Store Day, featuring Nicolas Jaar remixes from their landmark 2012 albums ‘LUX’ and ‘Shields’. 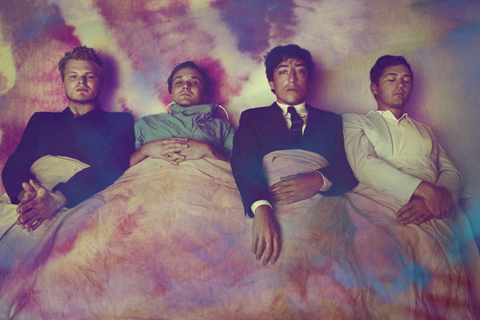 Grizzly Bear was started as a solo project by Ed Droste in 1999. Their Debut album Horn Of Plenty, 2004, was raved about and given top marks from various music press – they have a serious following in the Scandavian countries. Here’s their abstract on Alternative health perhaps – Gun Shy – their latest offering this of 2013.